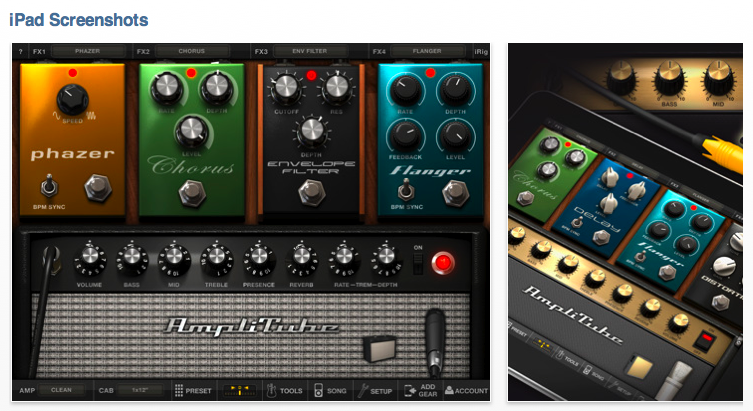 There are so many great apps that have come out the last few months that make the iPad a wonderful music tool. Well now you don’t have to worry about your iPad falling on the floor while onstage. 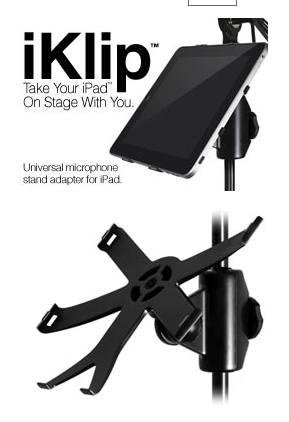 Check out the iKlip by IK Multimedia. There has been a lot of hype about this product. If you work with GarageBand you probably find yourself wishing for a controller surface that you can use for panning, track volume, etc. Unfortunately control interfaces usually cost hundeds of dollars or more. 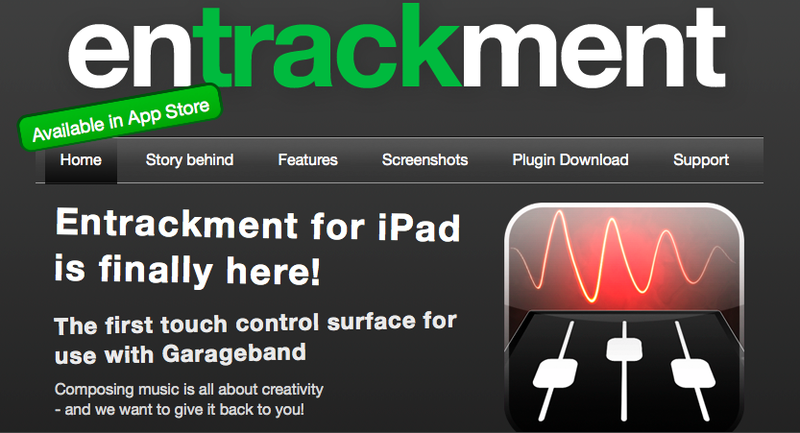 Well the guys at Talkative have developed an affordable app ($2.99 – yes that is three bucks) for the iPad called “Entrackment” that turns it into a controller for GarageBand and apparently soon to be added support for Protools, Logic Express, Logic Pro, and Record. Most of my articles on this blog are slanted for educators but here is one for gigging musicians, specifically guitar players. After working as a gigging musician for so many years I really appreciated this application when I came across it while investigation useful ipod and ipad music applications. I found it mentioned on a great blog called “IK Multi Media, Musicians First”. 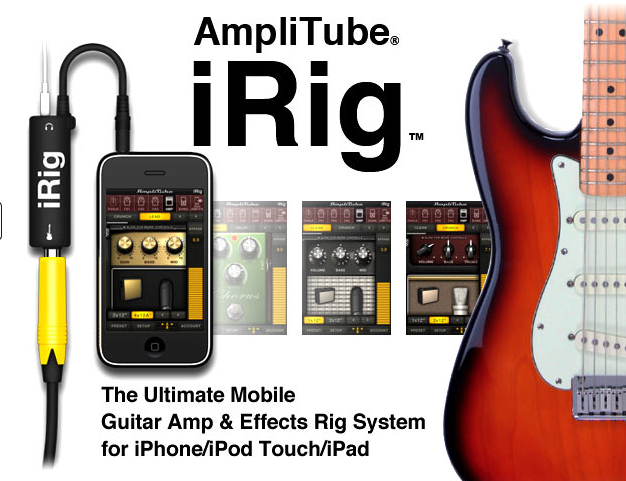 It is called the iRig by AmpliTube. Guitarists have always been interested in new gadgets and effects and almost always fighting with buzz caused by a multitude of patch cables in their systems. Several years back a few companies started to manufacture multipurpose guitar effect foot controllers that cut down on all the stuff and cables but this new iRig app is just too sweet. 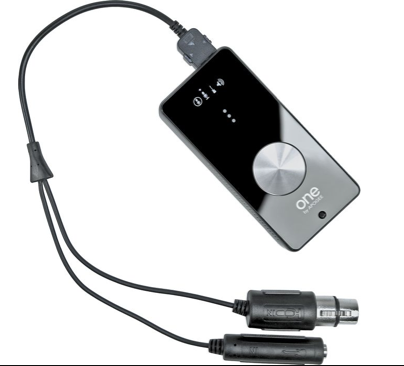 It is a small plug in that works as an adapter so you can plug it into your iphone and then plug your guitar using a regular 1/4″ lead into it. It also has a line out for headphones or to go to your amp. I live in Tokyo and I see guitarists taking trains with all their gear and I would think this would be a wonderful solution for most gigs.